Another cricket season has ended, kit put away for the winter and for many, time to give the body a rest before attending indoor nets in the New Year as yet another season beckons. Already several senior players will be thinking about their game next year and what they can offer to stay keen and enthusiastic. For those players resisting the ageing process and determined to carry on playing competitive cricket, but looking for a new challenge to extend their playing career we have the solution for you…………………………………. The Worcestershire Seniors Cricket Association offers competitive mid-week cricket for the club player that can give their time to play against neighbouring counties and beyond at Over 50’s, Over 60’s and Over 70’s level. The competitive cricket that is played is serious but enjoyable for the player that still has that winning mentality! There are 40 counties and minor counties that play in the ECB 50+ championship. There are five regions of 8 teams and we are in Region 4, we compete with Warwickshire, Shropshire, Staffordshire, Oxfordshire, Gloucestershire, Herefordshire and Wales to secure a top three place to qualify for the play offs with a final in September. This is a tough group and the cricket is challenging. 45 over games beginning at 1.00pm on Wednesdays throughout May, June and into July with bowlers limited to 9 overs. The criteria is that all players must be 50 years of age at the time of playing and be a member of a Worcestershire club. We will also be entering an Over 50’s 2nd XI team in a newly formed Midland Division of the Southern Counties Over 50’s League to offer a game for everyone in the Over 50’s squad and ensure continuity into the Over 60’s squad. The Over 60’s currently have two sides playing in the National 60+ County Cricket Championship League against five other Counties including Shropshire, Warwickshire, Gloucestershire, Wales and Oxfordshire in 45 overs games beginning at 1.00pm on Tuesdays. Next season the Championship hopes to start a 3rd XI Competition in the South West Midlands to provide cricket for the slightly older and less able cricketers…..The Over 70’s have one team in the National 70+ County Cricket Championship playing 40 over games on Thursdays against such Counties as Wales, Warwickshire, Cheshire and Gloucestershire. They also play friendly games against Counties in a South West Friendly Competition, including Wiltshire, Devon and Somerset. 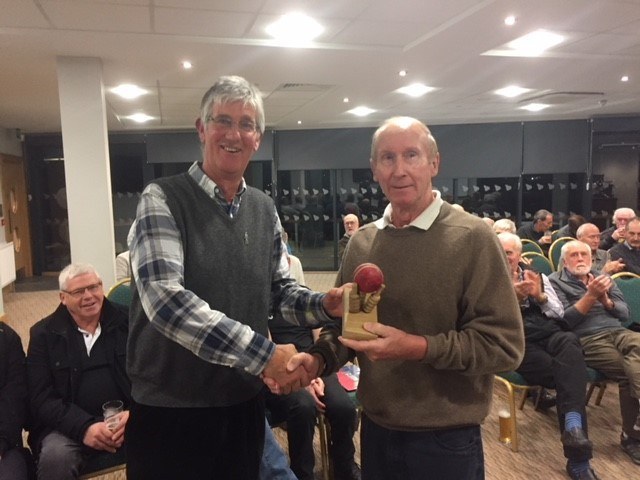 Seniors Cricket in Worcestershire is growing, it offers ‘Life after League Cricket’ for the player that wants competitive cricket as well as good fellowship. The Worcestershire Seniors undertake attractive overseas tours as well as the UK, so time to reflect on this opportunity and get involved……………. Please contact Glyn Thomas – Secretary on 0121 421 5648 (h). 07800 709171 (m) or email glynthomas51@gmail.com for further details and register your interest. Please find the Worcestershire Seniors Cricket Officers 2019 attached below.